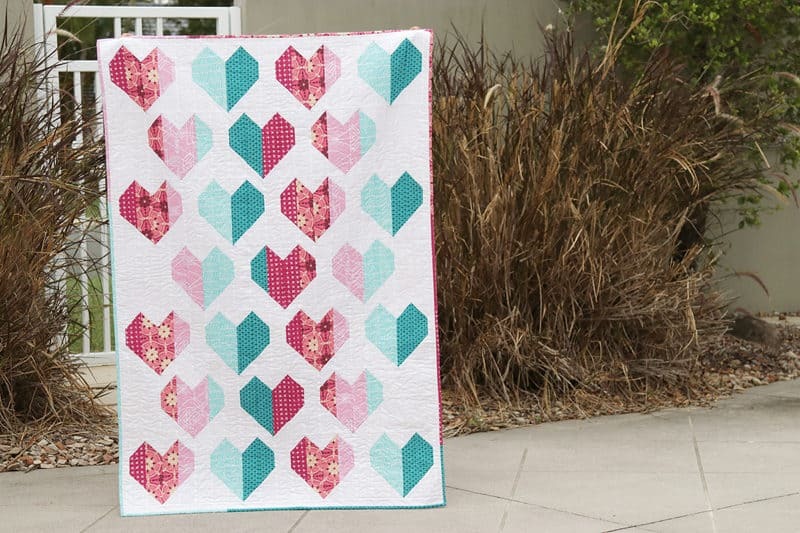 I have a new quilt pattern out today! 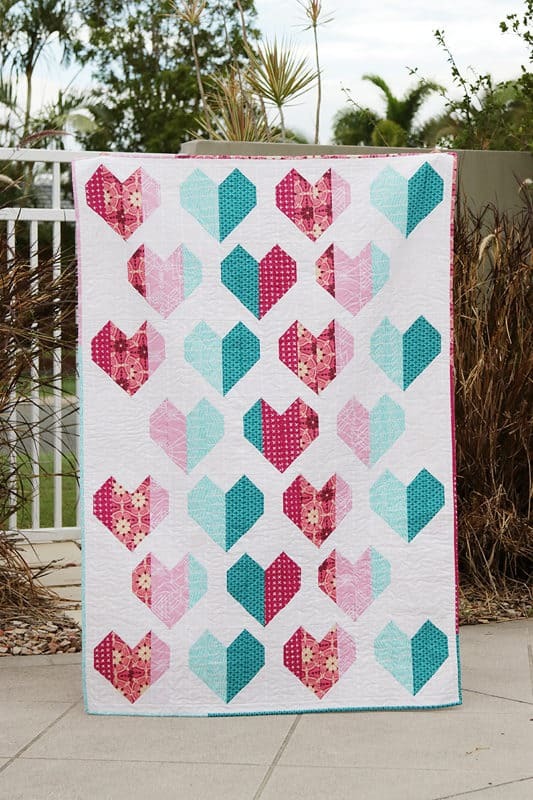 This PDF quilt pattern is called Heartfelt and it includes instructions for crib, lap, twin and queen sized quilts. The crib size finishes at approximately 40″ x 58″. 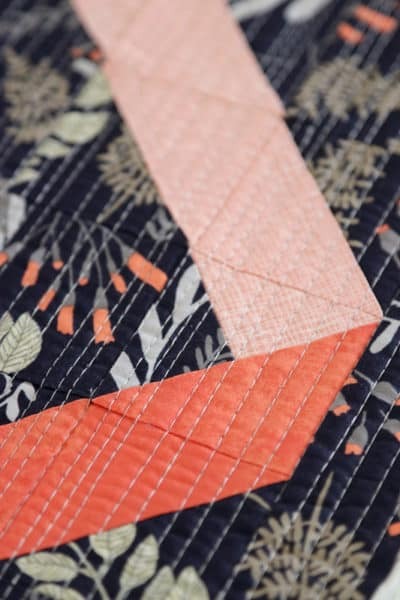 The lap size finishes at approximately 60″ x 87″ (a very generous lap quilt – for those who like them big). The twin size finishes at approximately 67″ x 90″. The queen size finishes at approximately 95″ x 94″. 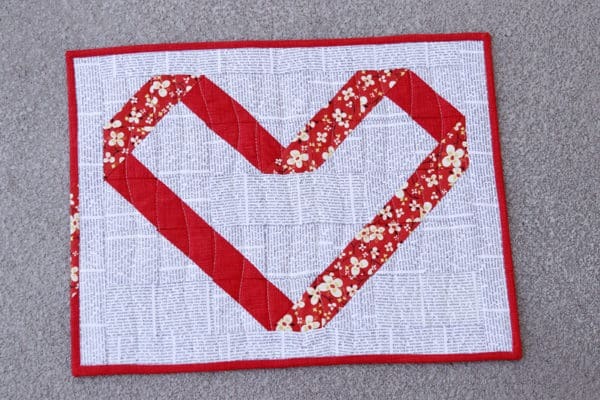 Heart quilts like Heartfelt aren’t just for Valentines Day. 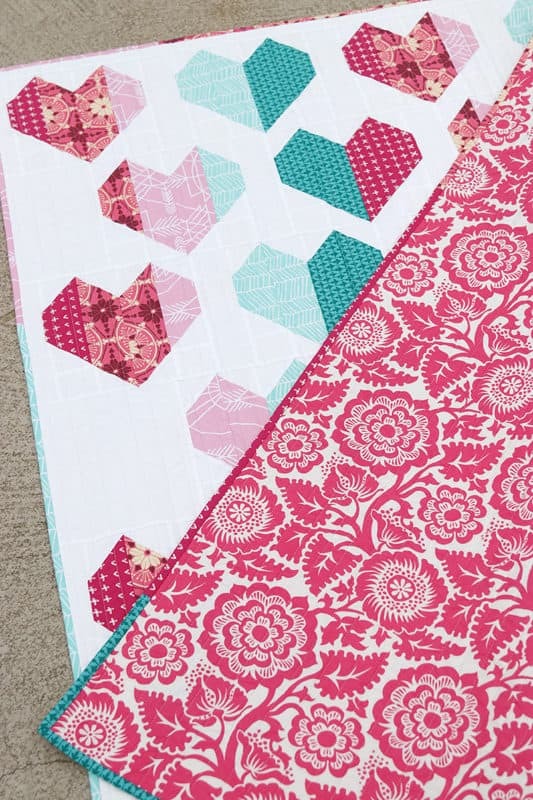 They make great baby gifts and wedding quilt gifts. 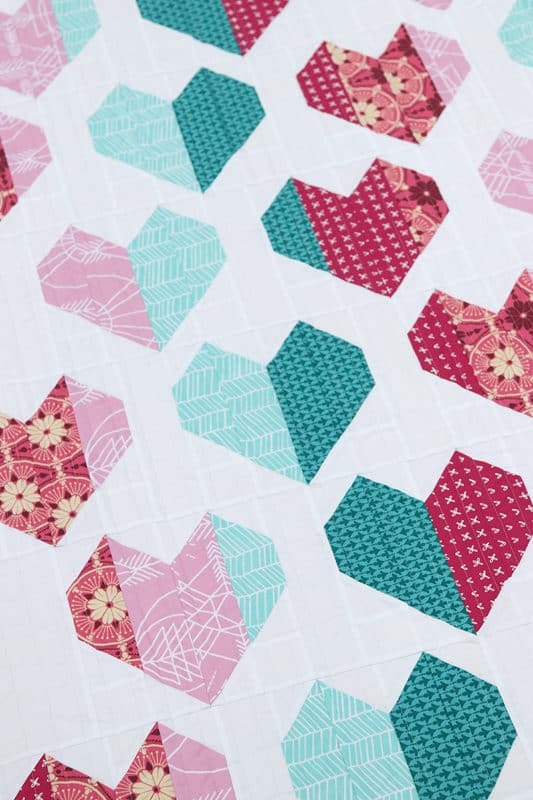 This pattern can be made to be on the sweet side – as you see here in Kona solids (Snow for the background and Cornflower, Astral, Chartreuse, Medium Pink and Bubble Gum for the hearts). But it can also be less sweet and a little more sophisticated with a more limited palate, such as the two examples below. The cover version shown is the lap size quilt. It was quilted with straight lines using my walking foot. I also made a scrappy binding from the fabric left over from the hearts. I usually prefer to hand stitch my bindings, but the kids go back to school tomorrow and I really wanted this done quickly. 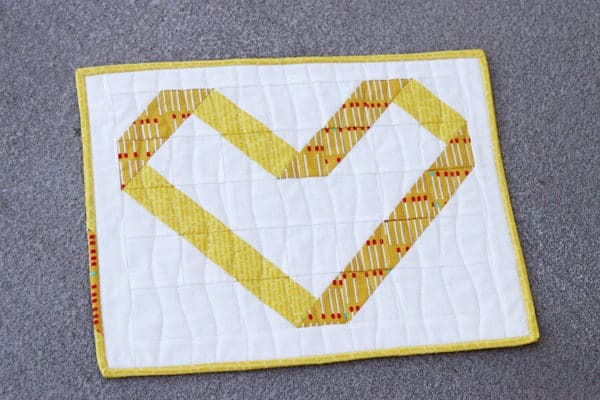 The Heartfelt quilt is suitable for confident beginners. It’s not a hard pattern at all – the stripes are sewn in batches, after which the hearts are assembled. 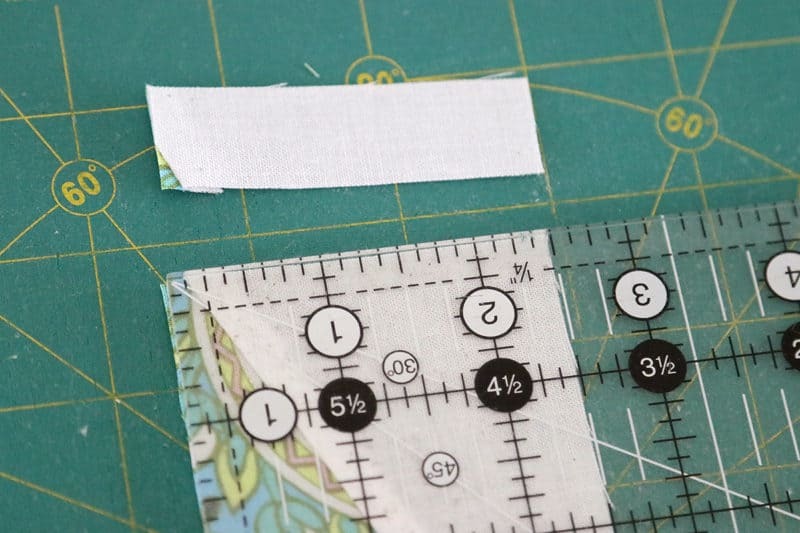 I really love it when seams nest, so the pattern has all the pressing instructions to make sure that happens. Patterns just sew up so much quicker when the seams nest (mainly because it’s easier to get away with not pinning). 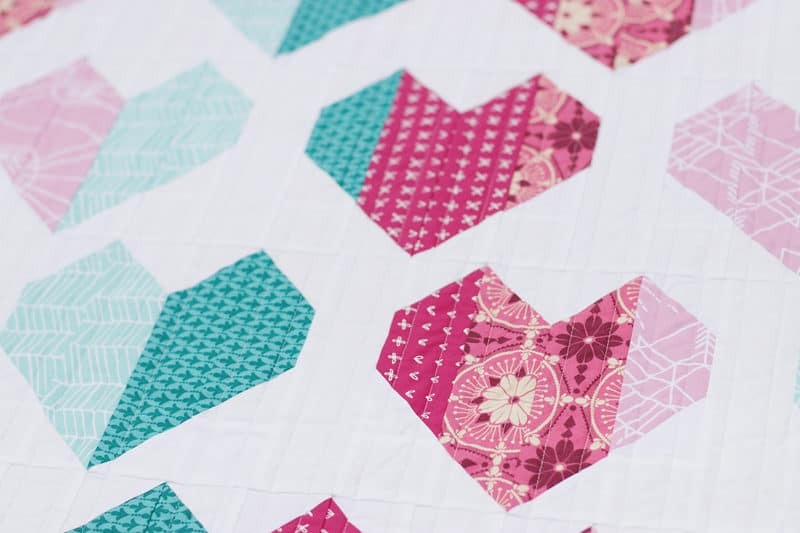 If you’d like to make your own Heartfelt quilt then come on over to the Pattern Shop and buy yourself a copy! 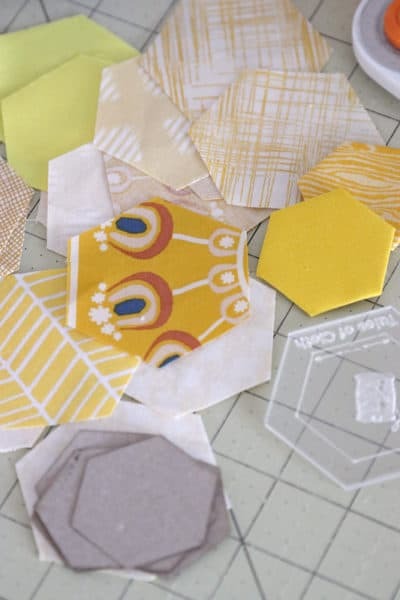 It’s the start of a new year, the perfect time to get your sewing room/supplies in order and finish off any quilt UFOs you have hanging around. What does UFO stand for in quilting? 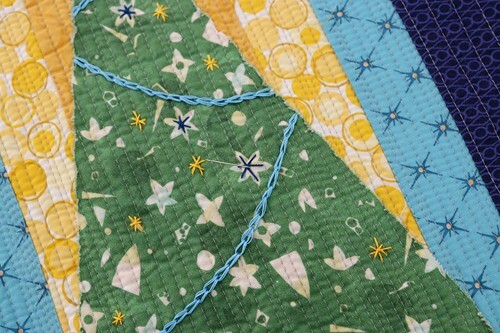 If you’re unfamiliar with the term, UFO in the quilting world stands for Unfinished Object. It applies to any project at any stage of progress that has not yet been completed. UFO tends to refer to a project that has been put on the back burner for a while without progress, as opposed to a project that’s incomplete but is currently being worked on (that’s known as a WIP – work in progress). If your UFOs become overwhelming, motivation-depleting or guilt-inducing then it might be time to actively work toward reducing them. 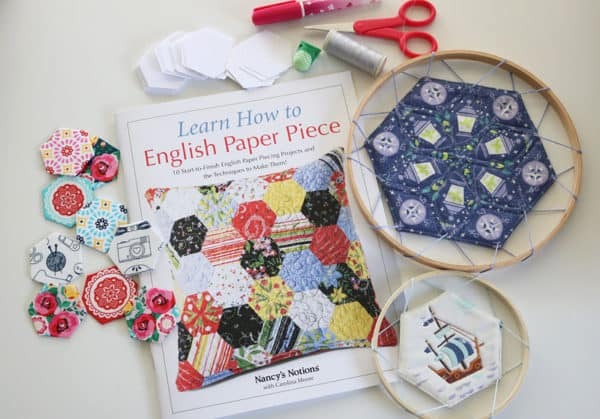 What to do with your quilt UFOs? 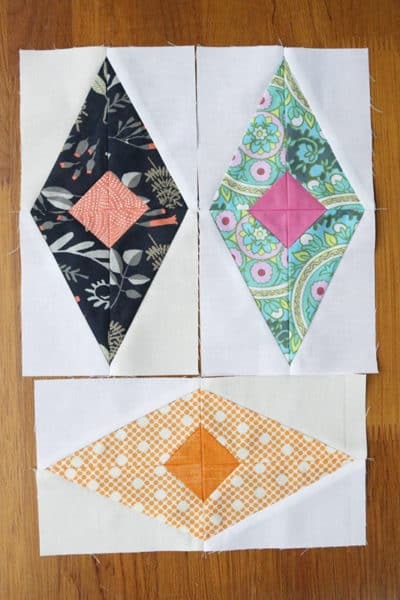 There are several options when it comes to handling your quilt UFOs. You might like to spend a little bit of time reflecting on the project before you decide what to do with it. 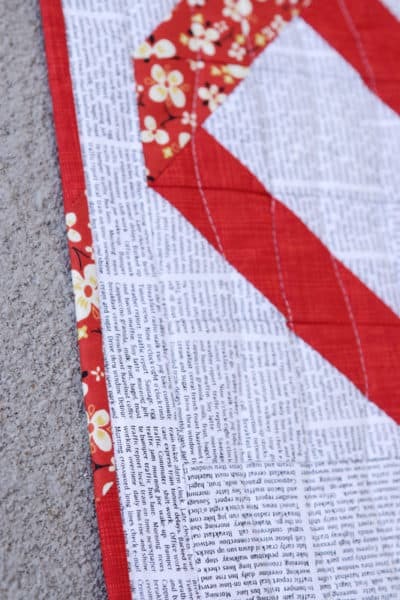 Was the quilt for a particular person or an event? Is the quilt still relevant to that person or occasion, or has it been overtaken by the time that’s passed? Is the UFO of a colour palette or style that you no longer appreciate? 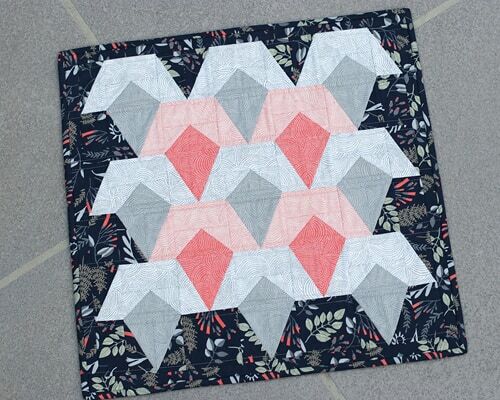 If you do complete a quilt UFO, you can give it to family, friends, charity or sell it on a handmade craft site such as Etsy. Does the final outcome of the UFO have to be as first intended? 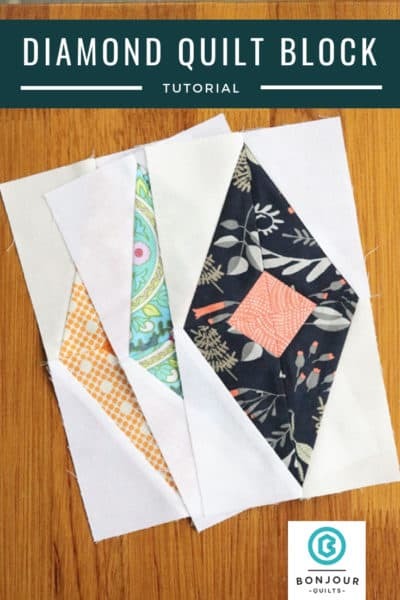 If you were planning to make a twin sized quilt but found the process tedious, could you make a baby quilt instead and be finished with a lot less work? 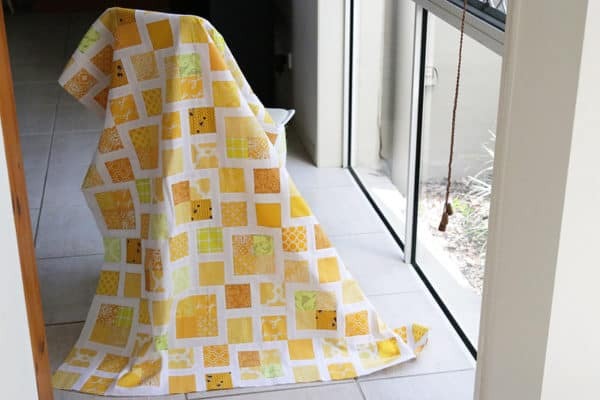 Or do you have an unfinished baby quilt that the baby has now outgrown? Could you extend the UFO with more blocks or borders to create a larger size that can be gifted to the now preschooler? 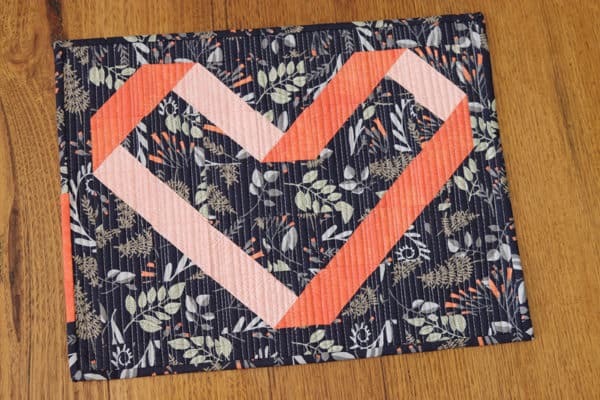 Those two orphaned appliqué blocks don’t have to become a quilt – just make a pair of pot holders and be done with it! The hardest part of finishing up quilt UFOs is finding the motivation to do so. That’s why the start of the year is a great time to commit to UFO busting… you can steal some of that Happy New Year magic and put it to good use. Take stock of all your quilty UFOs and look at them honestly. Do you really want to finish this project? What else could you do with it to make sure it doesn’t go to waste? What’s the minimum effort required to get it to a useful state? Once you’ve come up with a plan for each UFO, you can crack on with doing it. Give away what you need to give away. Prioritise which UFOs you’ll finish and remember – you’re aiming for FINISHED not PERFECT. Momentum is so important here – results will encourage more finishes; you want to take advantage of that. Try to keep the ball rolling! Try to imagine how good it will feel to have those projects completed. They’ll be out in the world (or your living room) and they’ll be used and enjoyed. Much better than languishing in the back of a cupboard! Once they’re gone, make sure they don’t come back! When you have your quilt UFOs under control, be careful not to let yourself fall back into the same position. Try and have WIPs, not UFOs. Even if you have several projects at the incomplete stage, making time to work on all of them will ensure nothing falls back into UFO status. I like to have a few things on the go at any one time so that if I hit a bottleneck with one, I have something else to work on in the meantime. My simple way of making sure my WIPs don’t become UFOs is to keep them in plain view. I find if I put it in a cupboard for any reason at all, it’s a case of “out of sight, out of mind” and it won’t receive any attention. So I keep my projects out, taking up valuable table space, which provides further motivation to get them done! 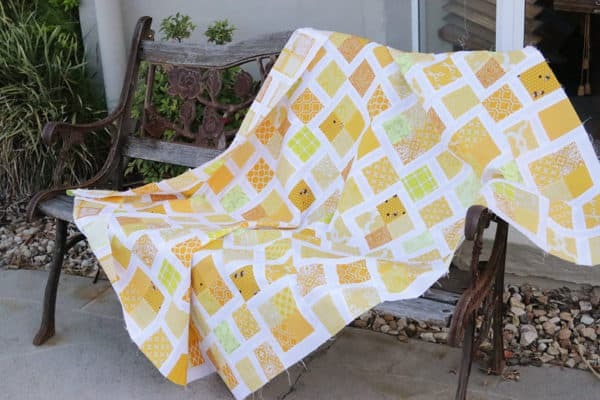 The first quilt UFO I tackled this year was this sunny yellow project. I think I started this quilt in 2011. It would’ve been for my daughter (who still loves yellow) and was about 5 years old at the time. (She’ll be a teenager in a month…eeek). Problems can occur when WIPs become old UFOs, which is why I thoroughly recommend you don’t let UFOs hang around too long. It’s much quicker to do them early. Firstly, the reasoning behind this quilt is long gone. I can’t remember a thing about it. 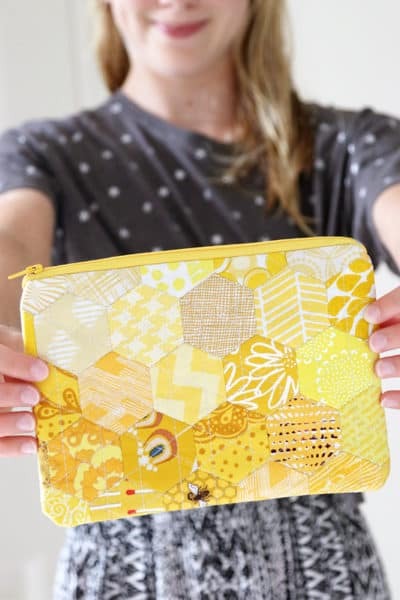 The yellow squares are all odd sizes – why did I do that? 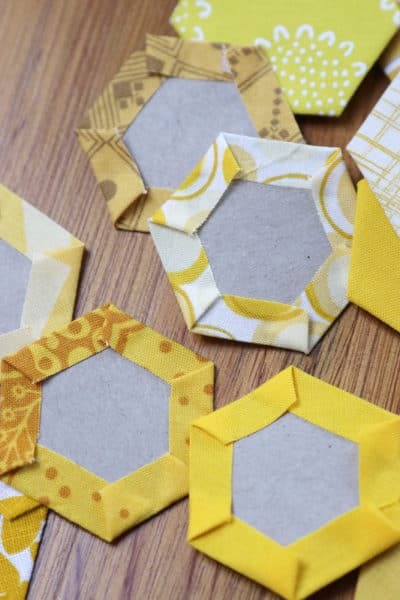 Did I have a handful of scraps in that size? Or were the sashing strips all cut before I’d done proper calculations? 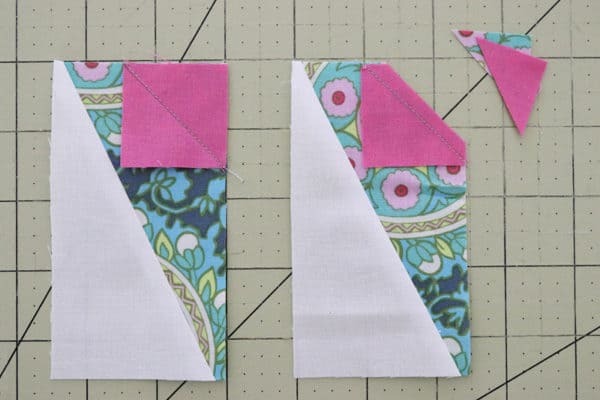 The individual patchwork blocks finish at 6 1/2″…again, I’m not sure why. You can see the weird sizes needed to create this quilt below. The quilt is now too small for my lanky pre-teen daughter. I wouldn’t mind making it bigger with some white borders, but what white fabric did I use? Was it my preferred Kona Snow or was I using something else back then? 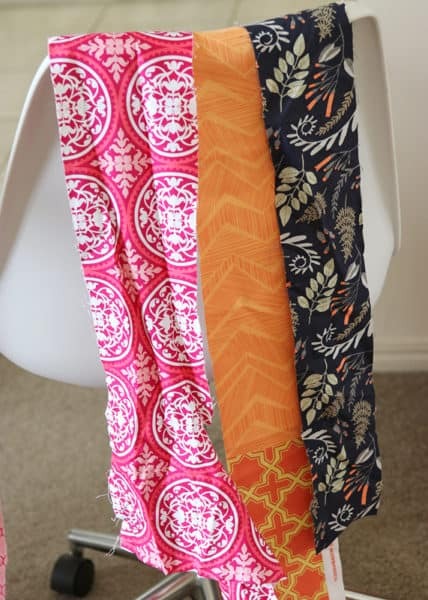 And of course, even if it is Kona Snow, over time fabric changes colour and manufacturers can change their colours so they may no longer match. In many of the rows I found seam separations, no doubt due to excessive handling over the 8 years this project went from cupboard to cupboard to moving box. I had to repair many seams before I could sew the rows together. So much extra work I could have avoided if I’d finished this project in a timely fashion. Even if I’d just reached the quilt top stage I would’ve saved myself a lot of sewing the same seam twice. So if you can, finish those quilt UFOs before they degrade and you have to do the same work again. If you like to set goals for these sorts of things, why not join the 2019 Finish-a-long that’s underway? There are several hosts across the globe and you can link up your potential finishes and read more about it all here. 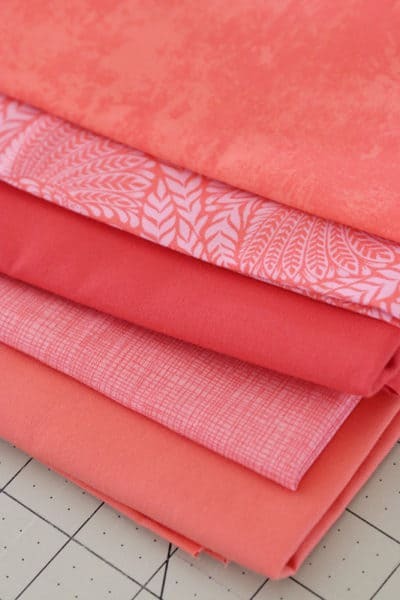 Happy sewing and all the best with clearing your quilt UFO backlog in 2019! Can you believe 2018 is almost over? It’s a little disconcerting, right? Sometimes it helps to look back on the year and see that despite the rapid passing of time, plenty of things were made. 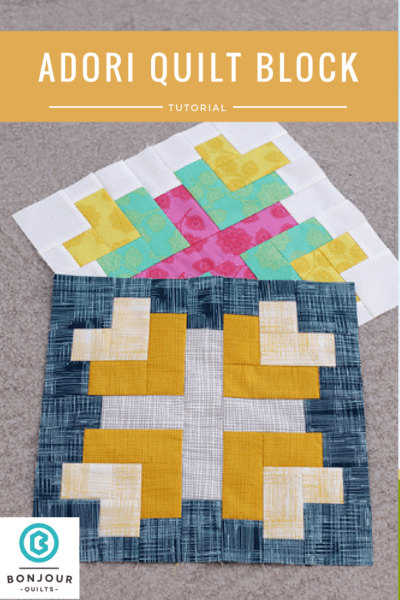 I spent a bit of time reviewing my quilting projects and blog posts for the year – there were definitely some quilts I’d forgotten about. I also had some fun delving into the statistics behind my blog to see which posts were favourites with you, my readers, this year. My rating criteria for choosing the top5 posts included the number of visitors a post received and how much engagement (comments and shares) it provoked, weighted with how early in the year it was posted. It’s a nuanced blend that rivals the Colonel’s 11 secret herbs and spices. 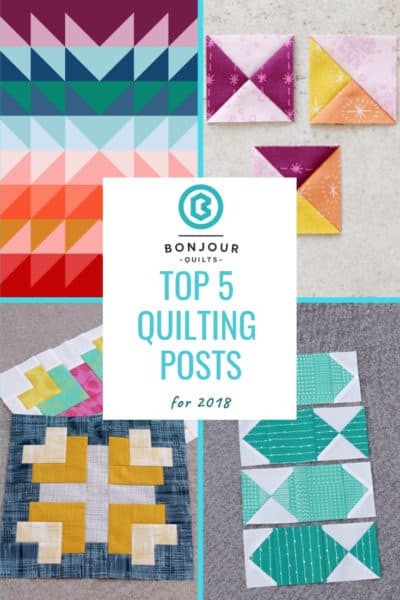 Ready to go for a wander back through the archives and see Bonjour Quilts’ top 5 posts for 2018? Here we go! 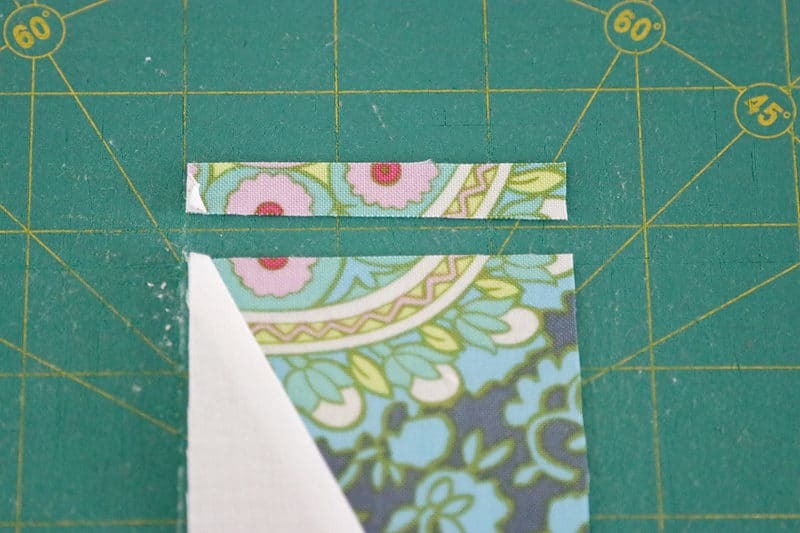 Top Quilting Post Number 5. My 5th most popular post this year was for a scrappy fish block. 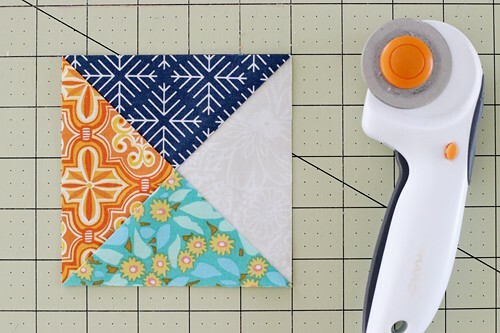 This tutorial shows you how to make the fish block with three simple component blocks. 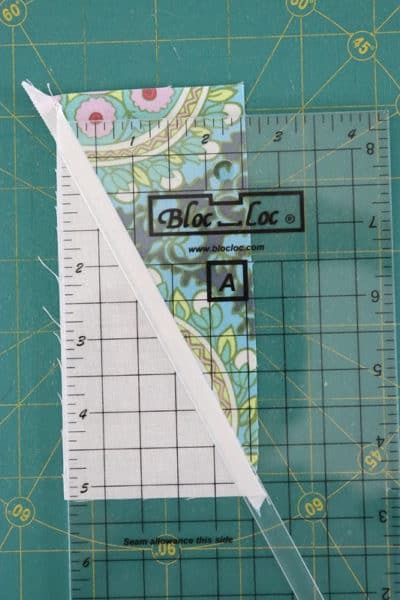 It also shows you how to cut your fabric to make sure directional print fabrics all go the same direction across the block. 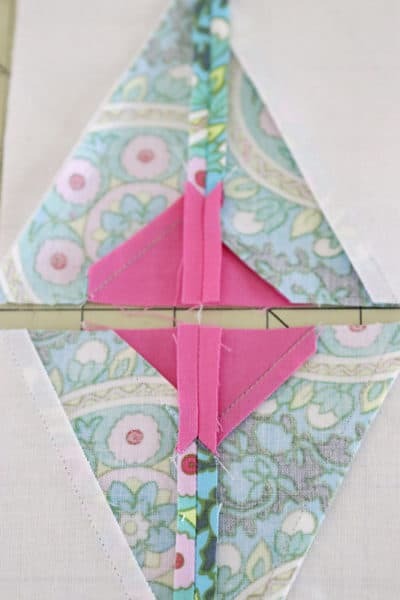 Top Quilting Post Number 4. Top Post Number 4 was this one, which announced a new addition to the Colour Explosion family. 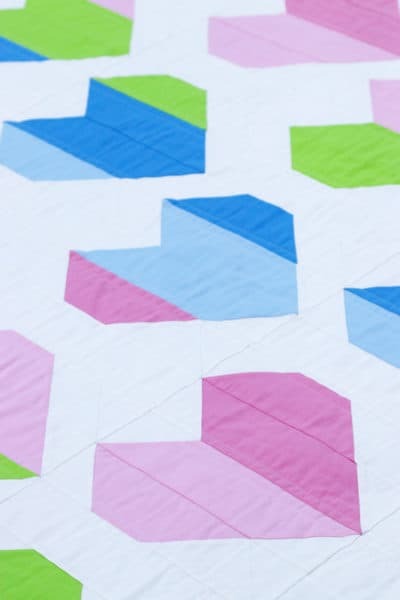 I have an older post which is a tutorial for a crib sized baby quilt called Colour Explosion. 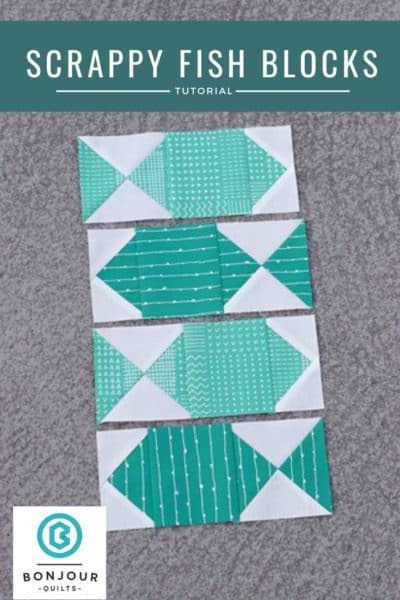 I had numerous requests to create a pattern for larger sizes, so I complied and created a pattern that has twin and queen sizes (as well as the original crib size). 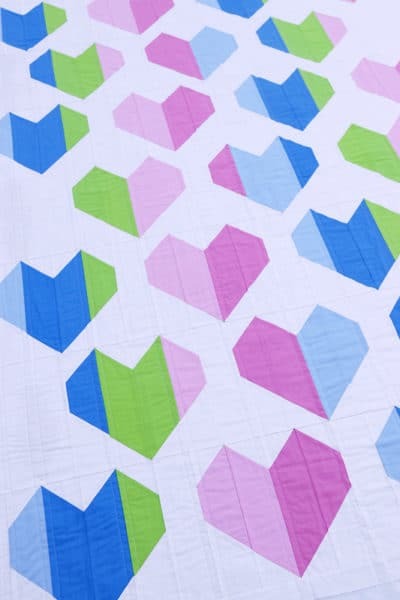 Now when baby upgrades to their big boy or big girl bed, they can upgrade their quilt to a twin size as well. 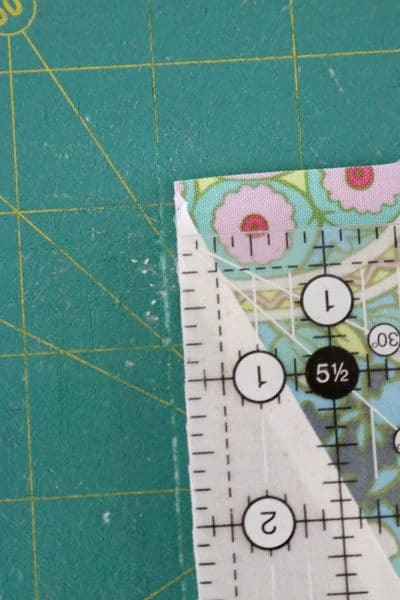 Top Quilting Post Number 3. Another tutorial post. 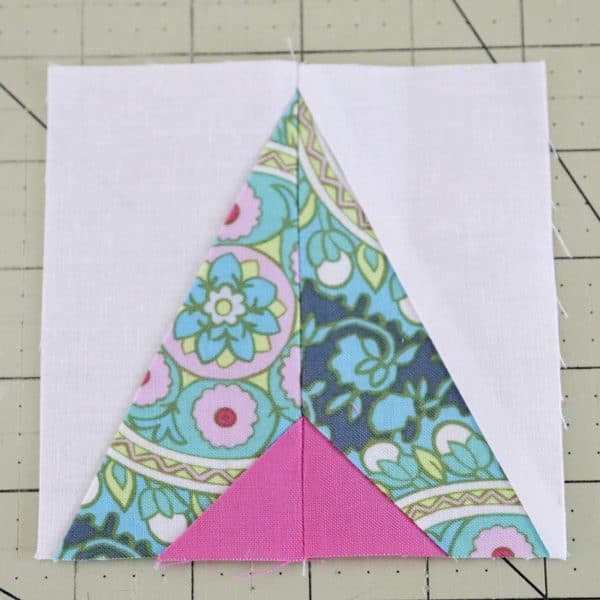 This time, I lay out all I know about sewing the Quarter Square Triangle block. 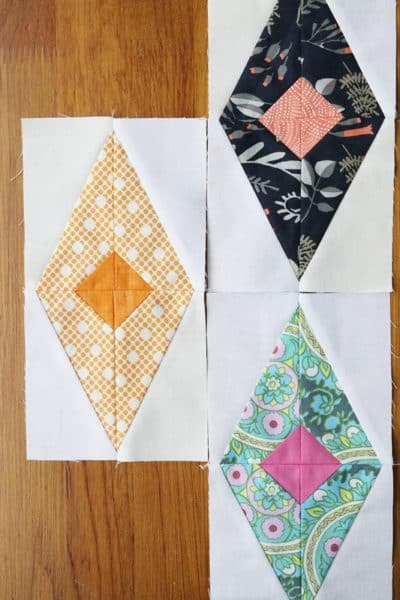 I love the design opportunities this block provides – the standard QST as well as the the Split QST and Hourglass block. 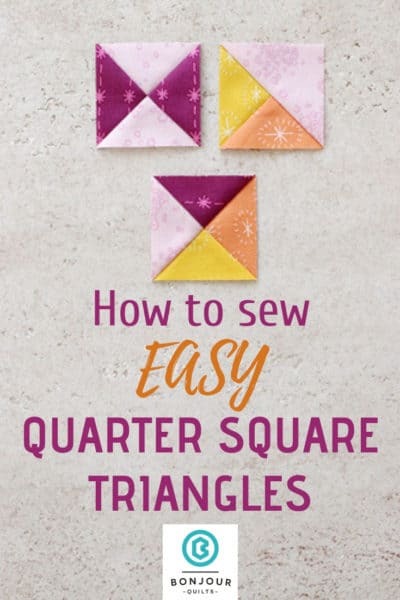 This post shows how to sew the blocks and also has a couple of handy Quarter Square Triangle charts for ready reference. 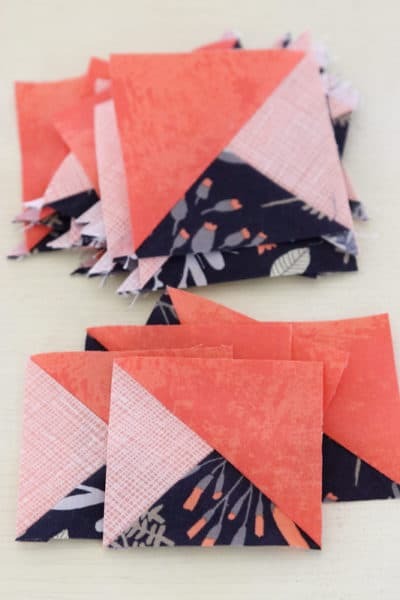 Top Quilting Post Number 2. 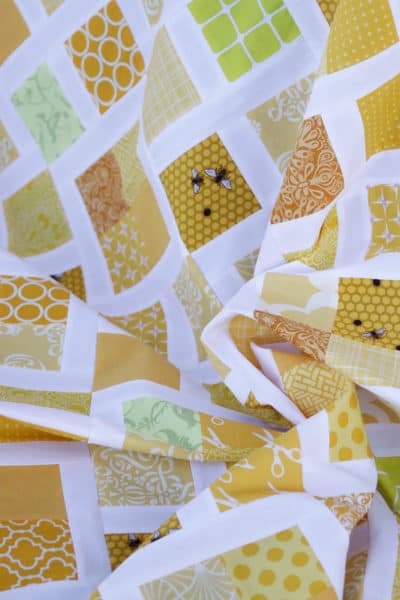 Getting close to the end now… and the runner up is this post, which was all about the business side of Bonjour Quilts. 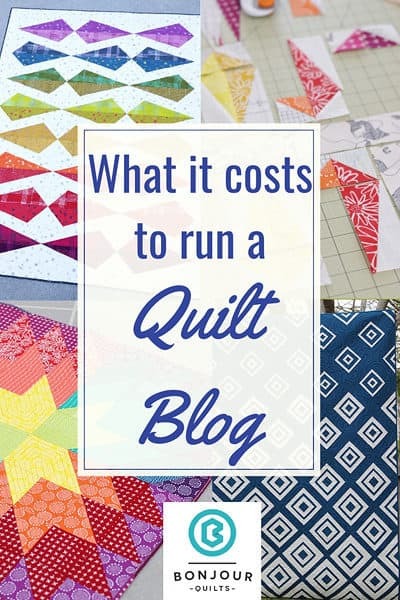 In this post I detail what it costs me to run Bonjour Quilts and to create patterns. The post also goes into some of the considerations when distributing patterns through a wholesale distributor. 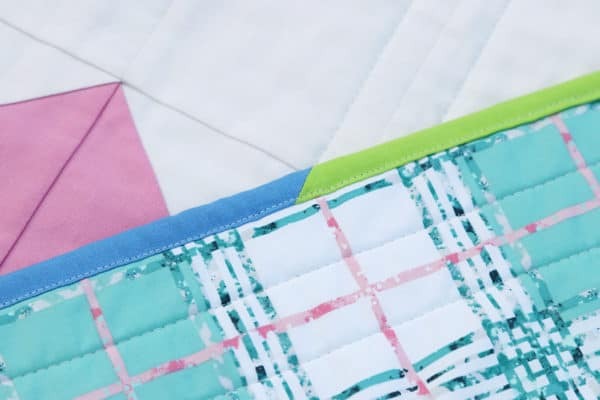 Judging from the many comments on the post, both online business owners and those who had no idea about the behind-the-scenes of a quilting blog found the post interesting. I really enjoyed the discussion this post generated, both in the comments and via private emails that many of you sent me. Thank you for all your input and encouragement. 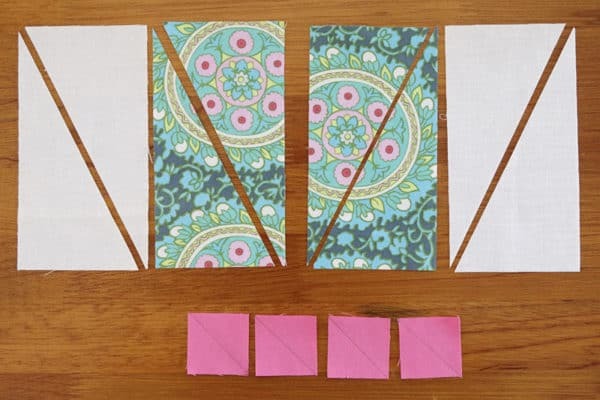 Top Quilting Post Number 1. 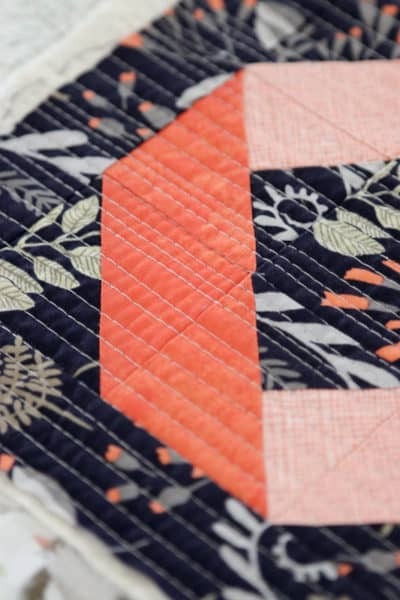 *Drumroll*….the Top post on Bonjour Quilts for 2018 was this one here, called Gleaned Log Cabin Quilt. 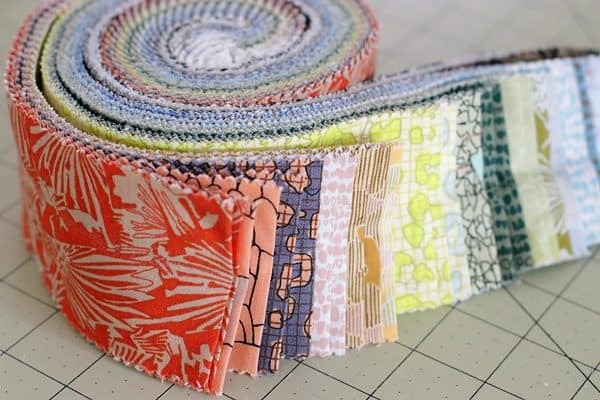 The post outlines the problems I had when turning a charm pack and jelly roll into a cohesive quilt top. There’s a second part to the post too, which shows the final design I came up with. I was surprised this was number 1 ! But it was the clear winner with the number of visitors. 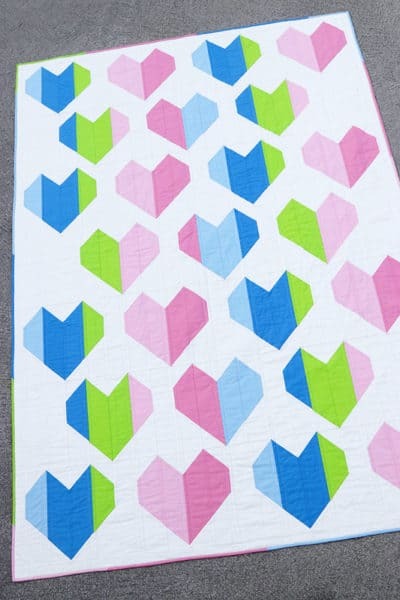 I think it was popular because we’ve all struggled with colour and layout at some stage when creating a quilt. Hopefully my hints were helpful for someone out there! 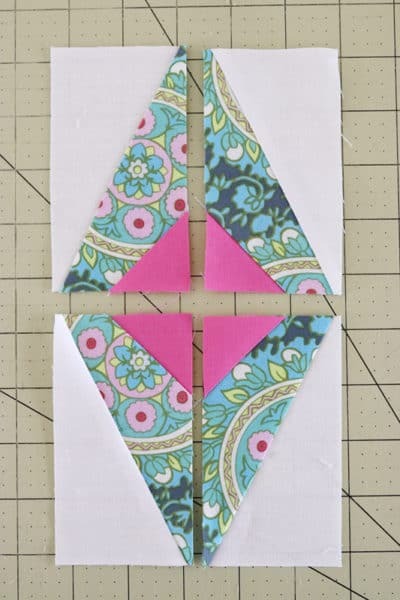 And this tutorial for a scrappy cross quilt block. So there you have it, a walk back through the year that was 2018. It’s interesting to research what got done over the year (always more than I remember) and reflect on the wins, losses and luke warms. I’ll be linking this post up with Meadow Mist Designs Best of 2018 link up – if you have a blog why not join the party? This link up is also a great place to find new (and active, so many blogs are dormant these days) blogs to read in in 2019. Whether you’re sad to see the end of 2018 or can’t wait for it to get out the front door, I wish you all the very best for a happy, sewing-full 2019. 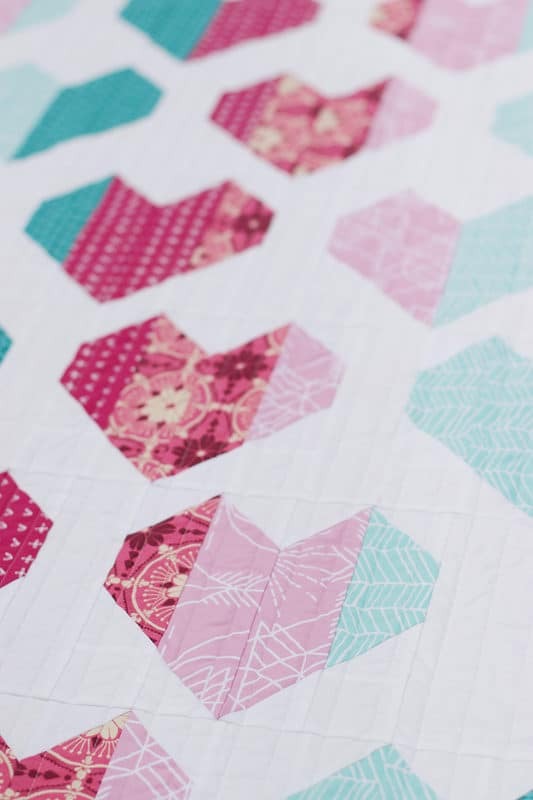 In my last post I introduced you to my latest quilt pattern – a mini quilt called Candy Christmas. I thought I’d share with you some variations on creating the appliqué Christmas tree as well as some embellishment ideas. 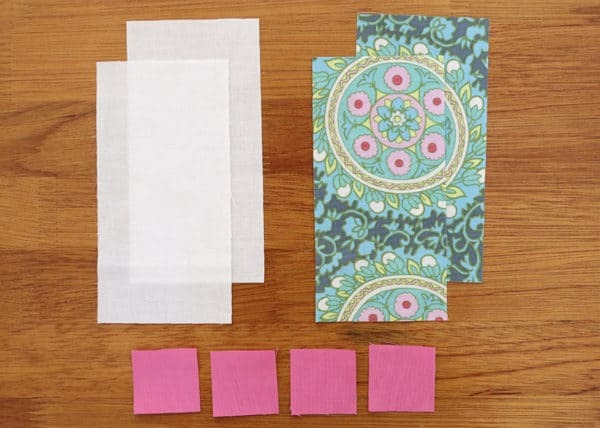 Firstly, there’s a lot that can be done with this pattern just with fabric choices alone. 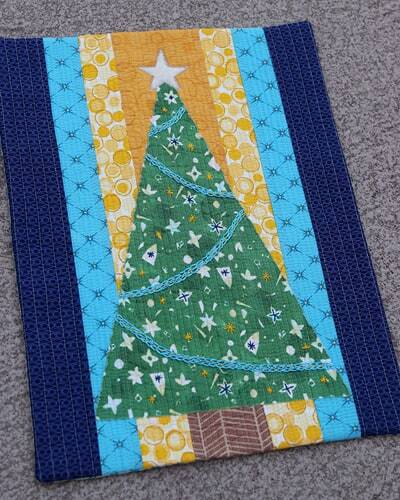 Both my versions of Candy Christmas use a fabric with a ditsy-type print for the Christmas tree. The small scale patterns are a bit of a “cheater print” for Christmas decorations. 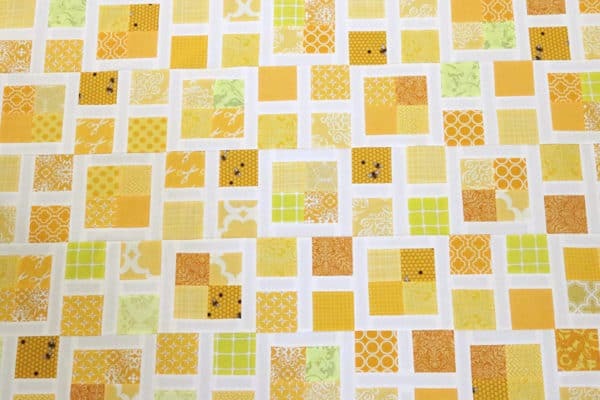 Just about any small scale print fabric would look great. 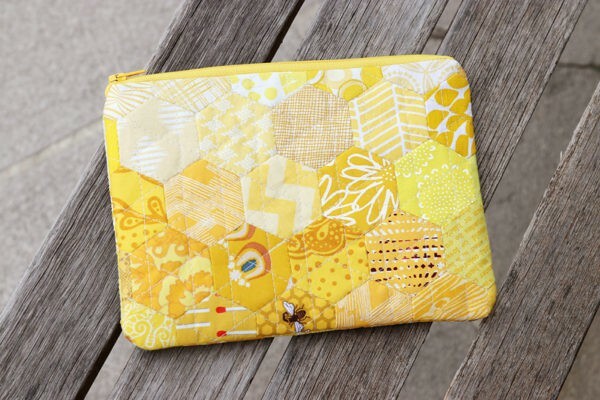 You can see various colours of the Alison Glass Sun Print fabric I used above here*. Other great options include these Libs Elliot stars*, or some instant garlands (stars or super cute jar lanterns*). 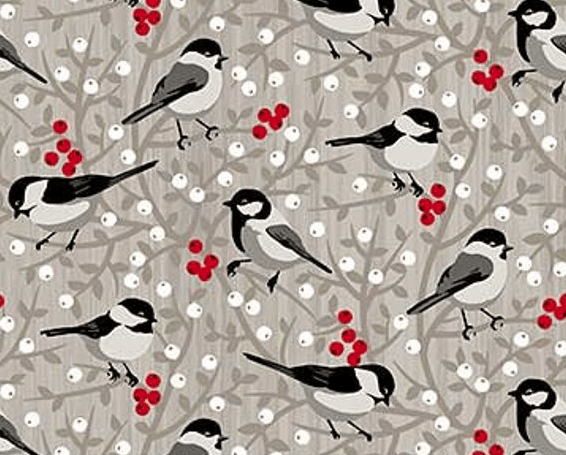 And pretty much every one of these adorable Swedish fabrics* would look fabulous. Don’t forget your background fabrics, too. 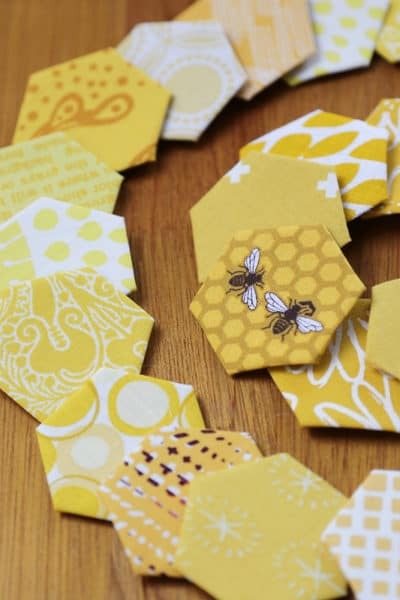 Solids work really well when you want your colours to shine, but pattern can also be used to great effect. Stars, bubbles, dots, ombré and stripes can all add interest to the background. These new Lizzy House Constellations fabrics* have lovely, saturated colours that play well together. My new favourite for a background might just be this Birch collection called Wink*. So I hope that gives you some ideas with regards to fabric choices. 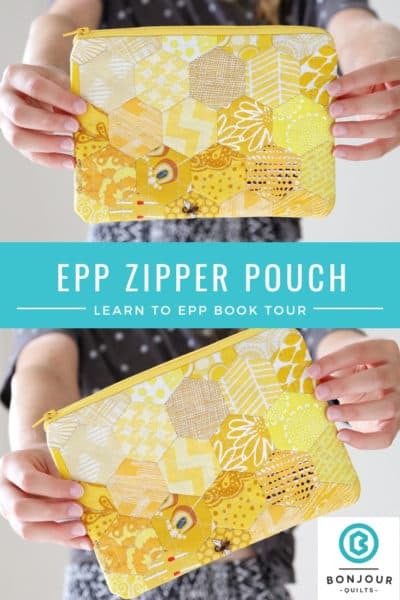 Another fun way to create your tree is to hit your scrap bag. 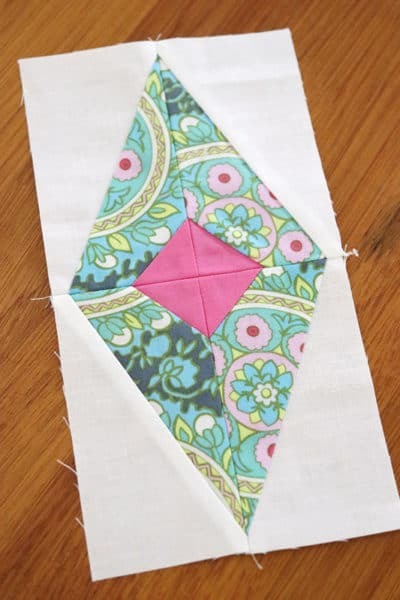 You can sew a patchwork piece any way you like that can then be used to cut your tree. 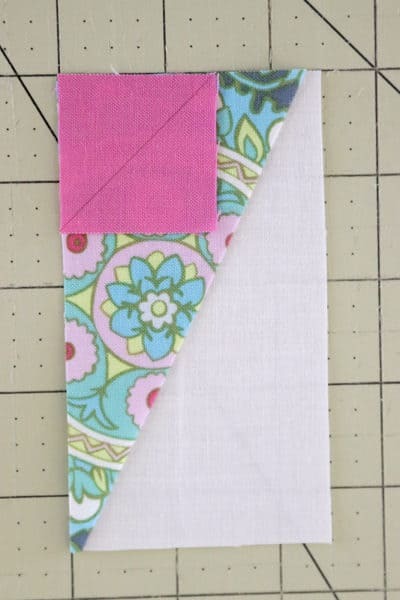 In this version I used some larger strips pieced together to form my “fabric”. 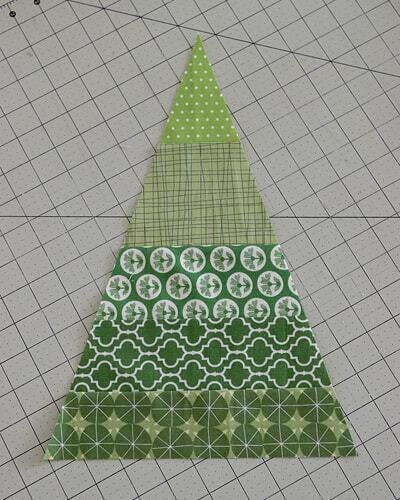 Then I cut out my tree with the template (from the pattern). When you cut out your tree, just try not to let any of the tree points fall on a seam. 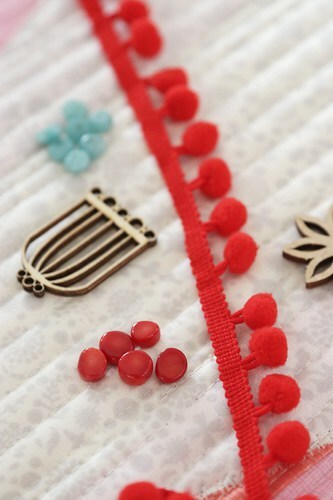 There’s lots of scope for embellishing with Christmas embroidery designs or other trims you might fancy. I knew I wanted to do some embroidery, so I marked out a rough plan on the back of my appliqué template. 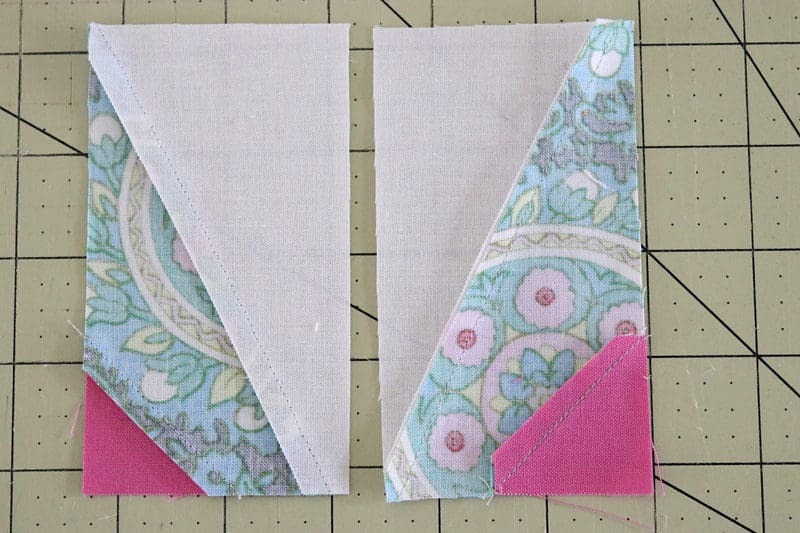 I could easily adjust my garland and ornament spacing before I started on my actual mini quilt. 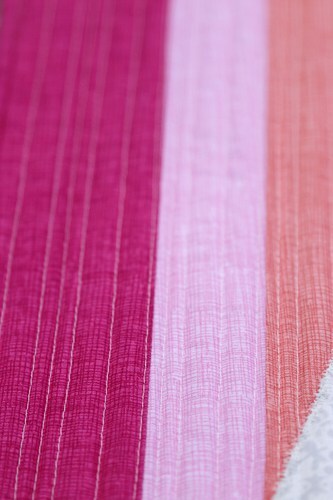 When it came to choosing thread colours, I went with tones that matched my background fabrics. I think it helped tie the whole thing together. 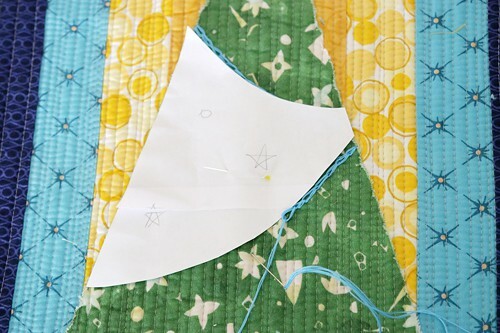 I also recommend completing your embellishment after quilting the top to the batting, but before you put on your backing. 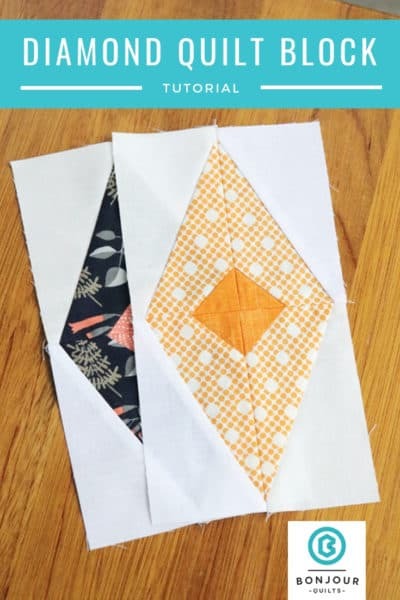 That way you don’t have to worry about being overly neat on the back of your piece, as that will all be enclosed in the quilt sandwich. 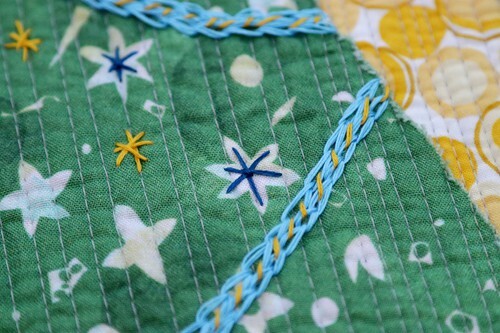 As I embellished after the mini quilt was complete, I had to pop knots through into the backing, etc, to try and minimise the mess on the back. It wasn’t much fun, so benefit from my hindsight! For those who might be worried about affixing your backing after you’ve embroidered, don’t worry. 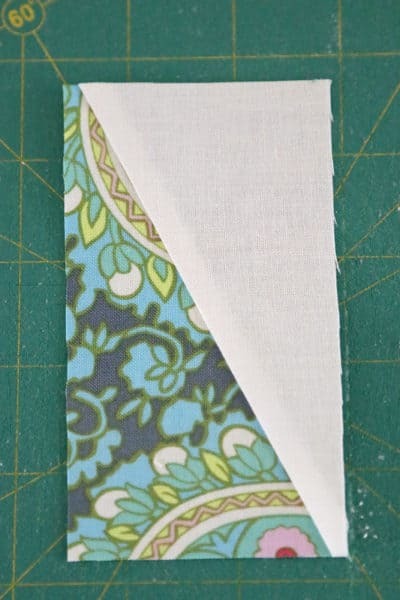 You can quilt a line outside each edge of the tree to hold your backing in place – this is plenty for a mini quilt. 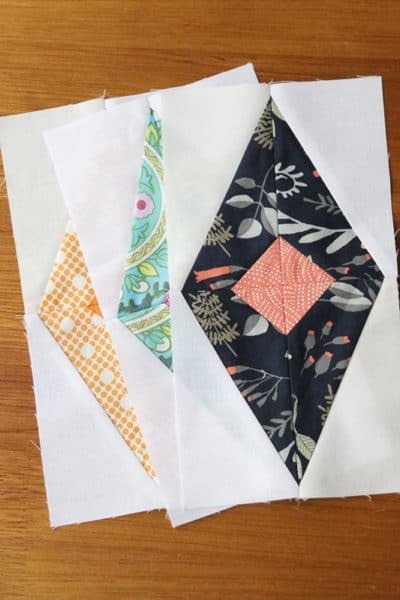 If you’d like to put a line of quilting on the tree but don’t want to sew over embroidery, just mark a line before you embroider so you know where to leave a clear path for later quilting. Right. Back to the stitching. Firstly, if you’re looking for a straight forward, photo laden book on embroidery stitches I’m a fan of the book below (which you can find on Amazon here*). I started with the tree garlands, which I marked with an air-erasable pen on my tree. However, I found my line wasn’t sticking around long enough for me to get my garland sewn before it faded away (it’s very humid here at the moment). So back to the garlands. 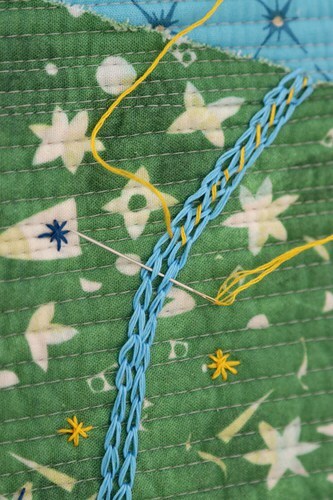 I started with a single line of chain stitch but felt it wasn’t hefty enough, so I did a second. And then I thought it was a little plain for a garland, so I went back and whip stitched the two lines together with another colour thread. (If I’d had a metallic thread* I would have used that here, I think it would’ve looked fantastic). I also scattered some gold and navy stars across the tree. The sky’s the limit! What do you have lying around in your drawers? Ribbons, pom-poms, lace, doilies, beads and sequins – any sort of trim is fair game. 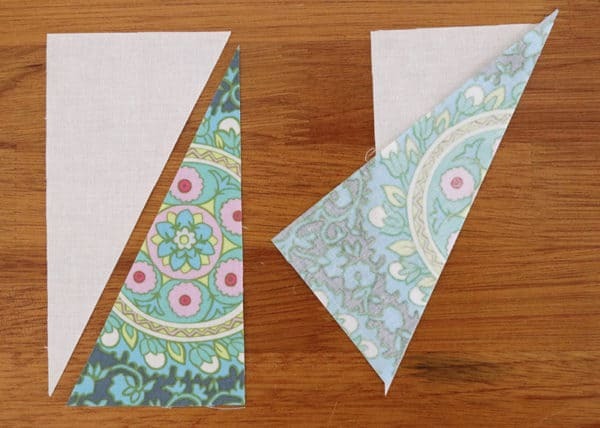 You could machine sew garlands if your machine has fancy-pants stitches. Alright, I think that’s more than long enough for a blog post. Thank you for reading and I hope this has sparked some Christmas embroidery design ideas of your own. If you’d like to make your own Candy Christmas, you can find the pattern in my shop. Happy embellishing and happy holidays! 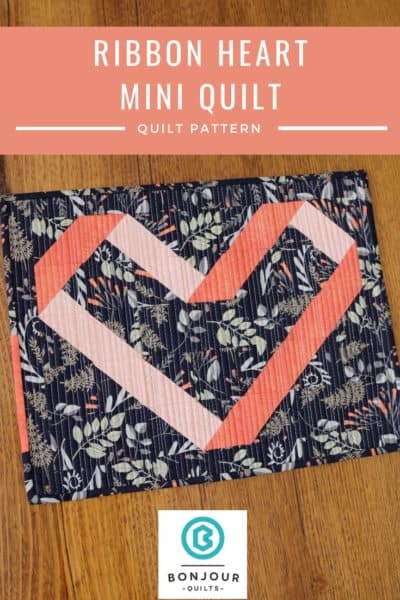 I have a new mini quilt pattern out, just in time for the holidays. It’s called Candy Christmas. 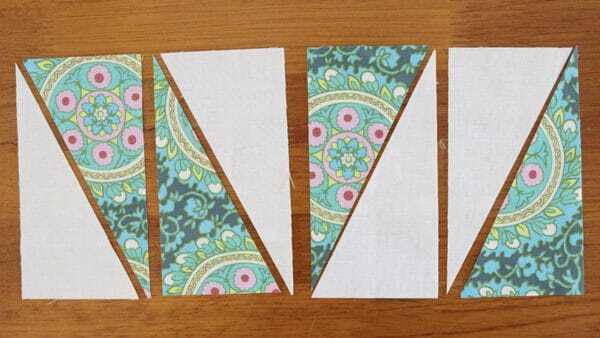 The pattern involves some easy appliqué over a pieced background. I think this Alison Glass fabric is perfect for a Christmas tree – the ornaments are already built in! Once sewn, there are many ways you could embellish your tree – embroidery, ric rac, beads, sequins, pom-pom trim and ribbon. The only limit is what you can dig up in your “miscellaneous” drawer. 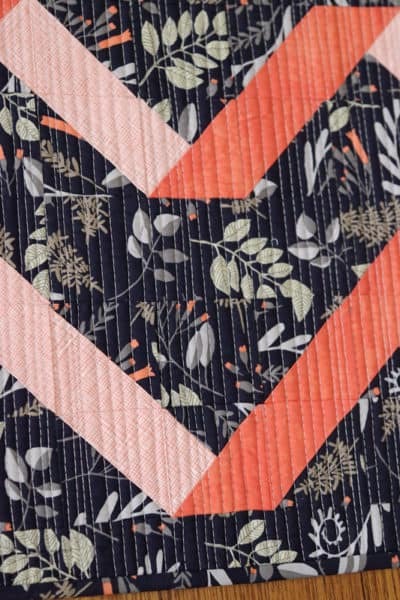 After creating my mini quilt top, I chose matchstick quilting for my background. Well, it’s pretty lazy matchstick work – they’re not very close together. 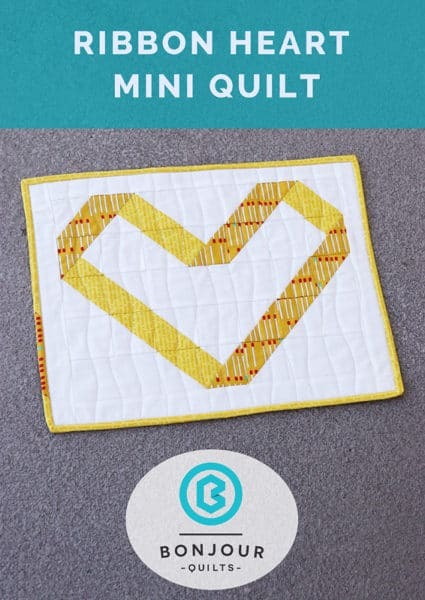 It’s a great choice for mini quilts as it adds a lot of body/structure to the piece. 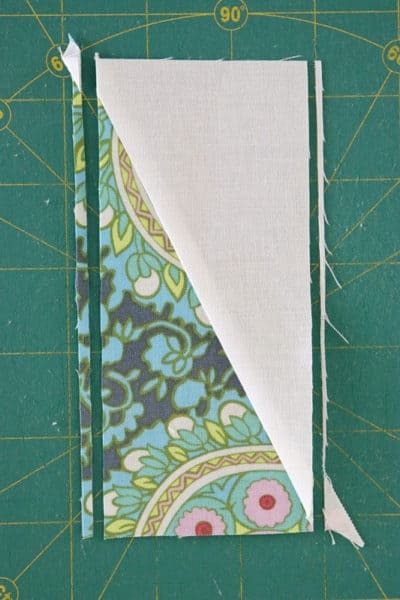 And finally, the binding for my Candy Christmas mini quilt was the same fabric as my outermost background layer, as I liked the framing effect it made. My sewing machine has a bunch of fancy stitches which would make for fun appliqué options. I went with an uneven edges satin stitch. It’s very forgiving and adds a kind of snowflake-y feel, in my opinion. 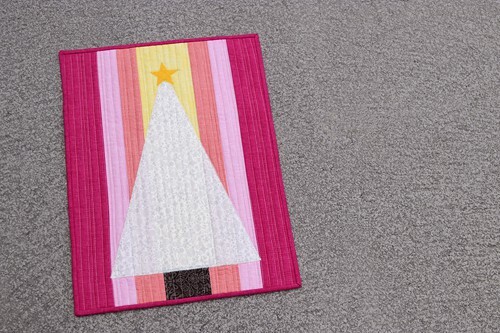 If you’d like to make your own Candy Christmas mini quilt, you can find the pattern listed in my shop here. 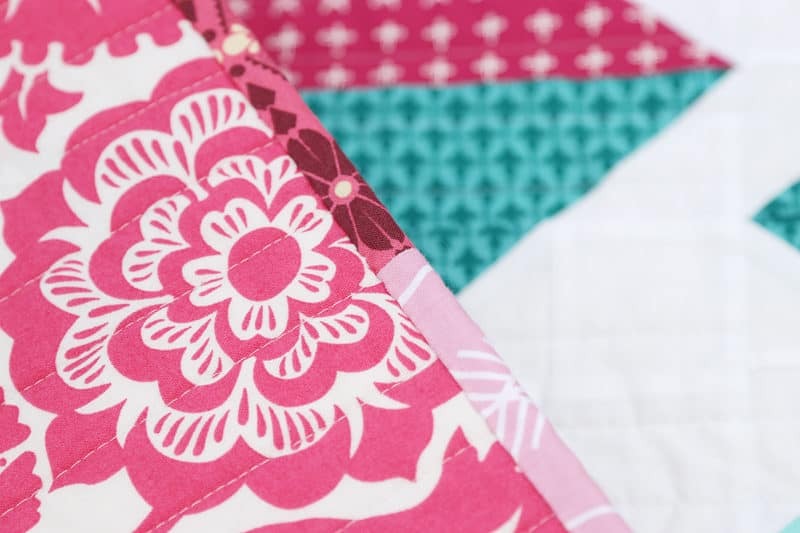 If you’d like some ideas on how to use a patchwork tree and how I embellished another version of this mini quilt, come and read my ideas over here. Happy sewing, and happy holidays!